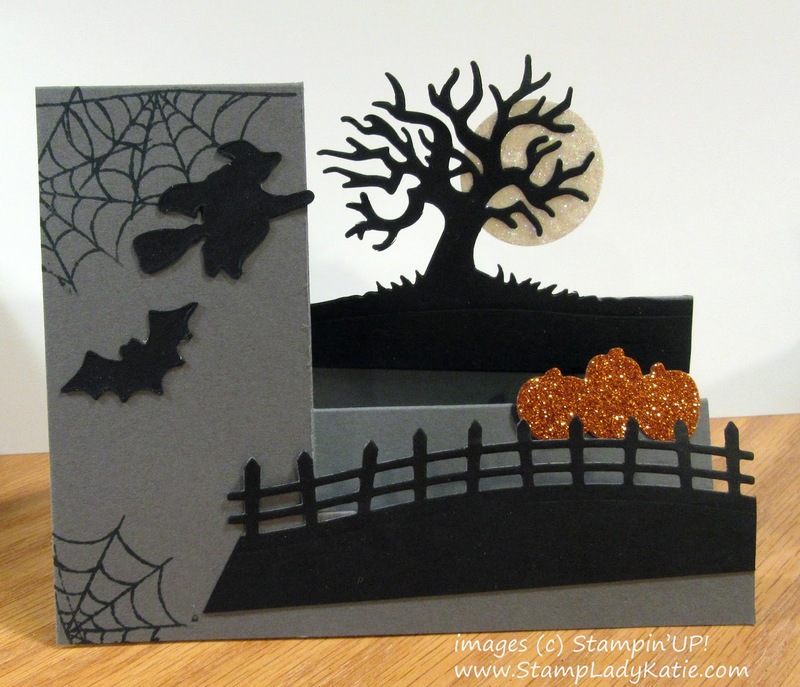 The bat, witch and other parts are die cut using Stampin'UP! 's Halloween Edgelits dies . . . except for the moon . . . I used a circle punch for the glimmer paper moon. BTW: the most effective adhesive I've found for adhering things to glimmer paper is Glue Dots. The stamped spider webs are from a set called Spooky Fun. Both the stamp set and the dies are in this season's Fall Holiday catalog. You could certainly hand draw the spiderwebs so its not like the stamps are essential to this project, but it does have some other really fun Halloween imagery. The stamp set and dies are sold individually, but if you decided to get them both you can bundle the product and save 10%. See the product chart below.